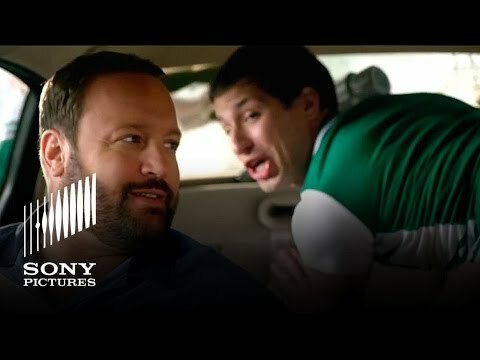 "Grown Ups 2" movie quotes bring the laughs back in the comedy sequel following a group of childhood friends who are dealing with getting older. Directed by Dennis Dugan, Adam Sandler, Tim Herlihy and Fred Wold wrote the film which stars an ensemble cast led by Sandler. "Grown Ups 2" hit theaters in the United States on July 12, 2013, and in the United Kingdom on August 16, 2016. 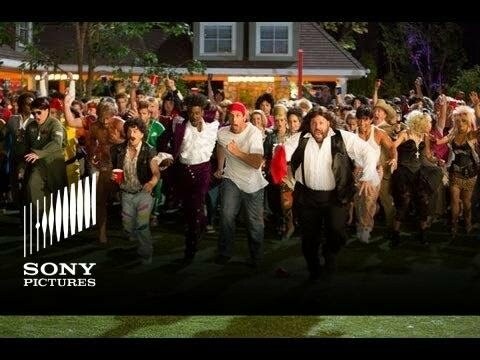 In "Grown Ups 2," the Feder family of father Lenny (Adam Sandler), mother Roxie (Salma Hayek) and children Greg, Keithie and Becky (Jake Goldberg, Cameron Boyce and Alexys Nicole Sanchez, respectively) move back to the small town in which Lenny was raised from Los Angeles. Lenny and Roxie feel this move is for the best and will allow them to raise their children without the hustle and bustle that comes with living in Southern California. This idea soon is compromised when they realize that there's a bit of crazy everywhere. 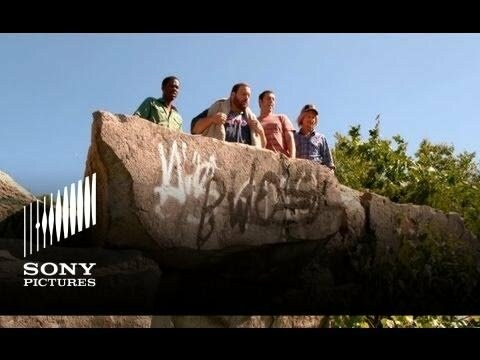 Lenny reunites with his friends Eric Lamonsoff (Kevin James), Kurt McKenzie (Chris Rock), Higgy Higgins (David Spade) and Nick Hilliard (Nick Swardson), among others, and together they visit the places that they enjoyed when they were younger. Through their adventures they realize that they might have grown up more than they want to accept plus learn many new things along the way from their children. 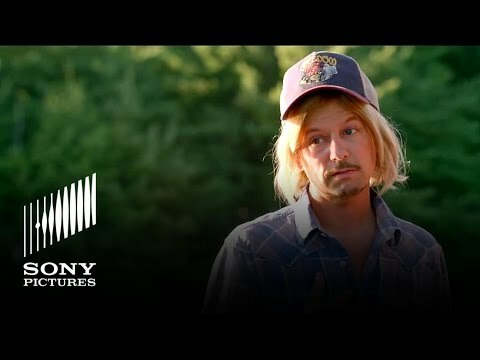 The ensemble "Grown Ups 2" cast also includes appearances from Stone Cold Steve Austin, Steve Buscemi, Maria Bello, Maya Rudolph, Andy Samberg, Taylor Lautner, Patrick Schwarzenegger, Paulina Gretzky, Terran Killam, Cheri Oteri, Shaquille O'Neal, Chris Hardwich and many others. If one "Grown Ups" movie was enough, there are many other movies to see in theaters for July 2013 including "The Lone Ranger," "Despicable Me 2," "The Heat," "White House Down," "World War Z," "Man of Steel," "This Is the End," "The Bling Ring," "The Internship," "The Purge," "After Earth," "Fast and Furious 6," "The Hangover Part III," "The Great Gatsby," "The Big Wedding," "Oblivion," "Scary Movie 5," and "Evil Dead." Nick: "There's a raft in there?" [Barely touches the raft packaging causing it to inflate and knock down many store displays.] "Who did that?" While browsing the toy store, Nick is puzzled that a large raft can fit in a tiny box. He barely touches the outside of the box causing the raft to inflate and knock down several feet of store displays. Frat Boy Andy: "We're gonna take off… that way… naked!" Lenny Feder: "You guys are losers!" Higgy: "I was inside you!" Challenged by the frat boys, Lenny, Eric, Higgy and Kurt jump off of the rocks into the water below. All is going well until Eric, the most portly man of the group, lands on Higgy. Higgy does not enjoy this experience. Sally Lamonsoff: "You're gonna like this." Bikini Girl Daisy: "You take these guys. We'll take the yellow car." Eric Lamonsoff: "Oh, what is happening right now?" Sally Lamonsoff: "Well I might as well enjoy this." Male Cheerleader: "Your car is filthy!" Sally thinks she's doing husband Eric a favor by taking their car to a bikini car wash. This however goes miserably wrong, at least for Eric, when the male cheerleaders are tasked with their wash.
Lenny Feder: "How did you become a cop after all that crap we did growing up?" Officer Fluzoo: "Put your hands in the air!" [singing] "And wave 'em like you just don't care! Say ho!" Lenny, Eric, Kurt and Higgy: "Ho!" The crew of friends encounters an old friend, Fluzoo, who is now a police officer in their town. Officer Fluzoo initially raises his gun and tells them to put their hands up but soon shows he's joking by singing and dancing.